Community Servings Featured in the New York Times! 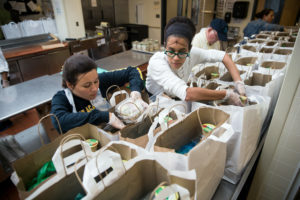 Community Servings is thrilled to have been featured in the New York Times, along with other Food is Medicine Coalition members who are answering the call to expand our medically-tailored meals programs to meet the growing need to provide nutritious meals for critically ill individuals. As the evidence grows for ‘food is medicine’ models to address critical and chronic health issues, so does the need for our meals. In the last five years, Community Servings has experienced a 40% growth in the demand for our medically tailored meals and nutrition services. To address the unmet need, we have launched the Food is the Foundation Campaign to fund an expanded 31,000 square-foot “food campus” which will allow us to triple our meal production and serve more of our critically ill neighbors in need.